Success has many stories – like Tonyi Senayah from Ghana, who has turned his love for shoes into a career. The entrepreneur is just one of the people representing Africa on the rise. Tonyi Senayah is a young entrepreneur in Kumasi – the second largest city in Ghana. He founded Horseman Shoes in 2010 and the company quickly took off. In 2011 Senayah was named young entrepreneur of the year at the Global Professional Achievers Awards in Accra. Senayah and his shoe manufacturer were also given the Outstanding Product Quality award fromAfrican Leadership Magazine in 2013. His goal is to lead Horseman Shoes in becoming Africa’s largest footwear manufacturer. His company produces a popular variety of footwear all made in Africa. 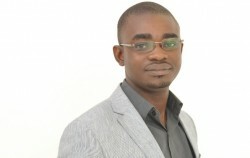 Senayah has a bachelor’s degree from the University of Ghana, where he was also a student leader. In 2009 he noticed a demand for high-quality shoes and knew of a lot of young and skillful shoe makers who were looking for work. He put the two elements together and started his shoemaking business from the ground up, first buying from local manufacturers, then establishing his own workshop. Senayah says that the key to success is overcoming the fear of failure. “You have to be something extraordinary to be successful here in Africa,” he says. The next step for Horseman Shoes is the international market and the logistics are currently being prepared.